The Lutheran World Federation (LWF) is a global communion of churches in the Lutheran tradition on a common journey of renewal. 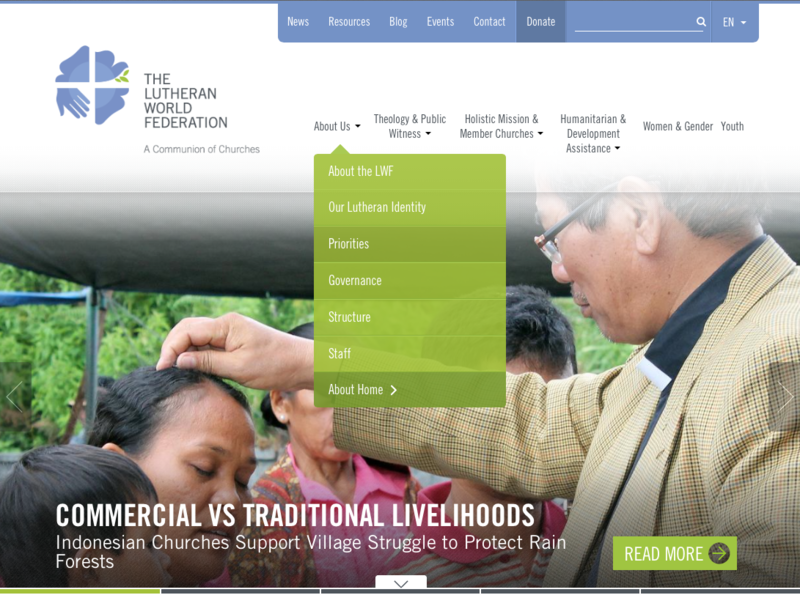 LWF began an entire re-brand of their organization, starting with their central-hub website, eventually branching out to each one of their country program websites. I worked directly with the client in Geneva while managing several developer teams. Additionally, I created wireframes, development requirements and user worlkflows resulting in a clean and sophisticated web experience. This project lead the way to new business, planning and development of LWF's country program project in which I played a key part in. Style guides, including the image sizing guide was created not only as a reference for the developers but also for the client content managers for future reference. Development requirements were also created with the aid of these guides. JIRA was the content management system used to create development requirements and to split large features into manageable story points, utilizing the Agile methodology.